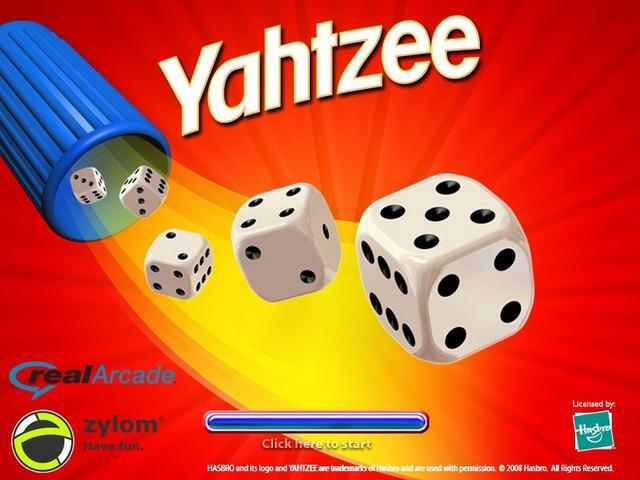 I’ve never played Yahtzee so had no idea what the rules or objectives of the game are so was interested to find out. We read the rules (Not very well) and then started playing, first time round we played some of the rules wrong as we where learning as we went along but it still went okay. The official rules are that each player starts with 1,500 chips that you can use to bid on cards. There are 7 cards on the board face down so no one can see them, each card has some targets you have to get to win the card if you have out bidded your opponent for it, you play for 1 card at a time. For example one card might be to roll 5 jokers (5 of the same) in 4 rolls to get 1,200 chips, so if you roll 2 5’s on your first roll you would put them on the card and roll again, if you fail to get the rest of the 5’s you fail and lose the money you bid on the card and then other players can bid on the card to carry on. At the start of each attempt to win a card the other players can bet chips on if they will do it or not, double or nothing rules. The winner is the player with the most money and at least one card when all the cards have been played. Caillois categories Yahtzee falls into are Agon, Alea and Mimicry. It goes into Agon because you are competing against other players to win the game, Alea because chance is a massive element in the game as you are rolling dice to get the correct numbers. And it also goes into Mimicry because you are repeating the same action of rolling dice over and over again. As for where I was on the flow diagram I would say I was in a state of relaxation because there was no skill involved in the game apart from using your chips well. Overall I quite enjoyed playing Yahtzee, it’s a fun game and quite exciting when you get to the final few players. 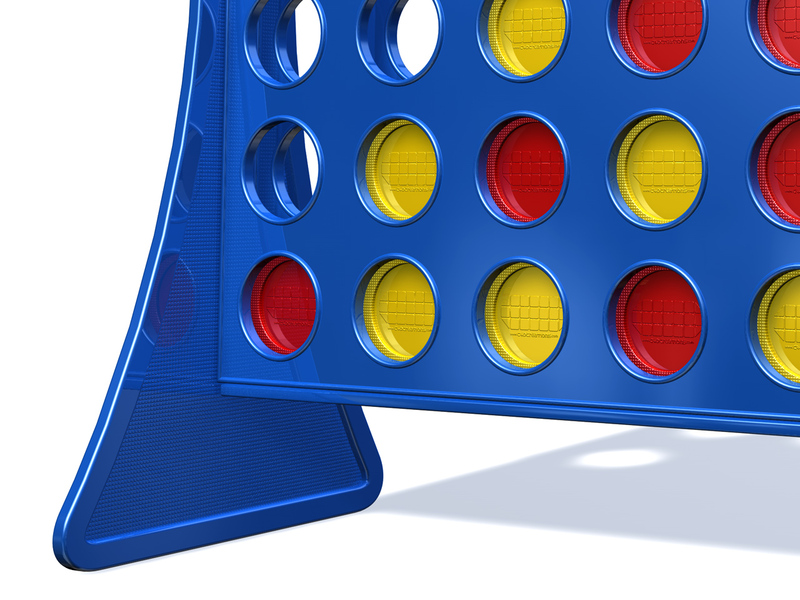 The strategy game connect 4 was first published by Milton Bradley in February 1974. It’s 2 player and the aim of the game is to beat your opponent by connecting 4 of your colour being it red or yellow on the classic design, you can connect the colours horizontally, vertically or diagonally to win. Each player takes it in turn to put a colour in and tries to connect 4 themselves whilst trying to prevent their opponent doing the same which brings the strategic element to the game. It’s a very fast paced with games normally lasting no longer then 5 minutes and has a lot of similarities with the game noughts and crosses but is on a bigger scale. The Roger Caillois game categories that connect 4 falls into are Agon and Mimicry. It goes into Agon because you are competing against an opponent to try and win the game, its a strategic competition between 2 players. It also falls into Mimicry because you are repeating the same action over and over again by playing your certain colour into the board, you also tend to repeat your opposing players move to try and block them off from connecting 4 and winning. I didn’t achieve flow whilst playing and would say I was in a state of control on the flow diagram which is 1 away from flow. But I do believe that the competitive elements of the game and the fast paced nature of the gameplay lends itself to achieving flow for the players though, and many other players would achieve flow whilst playing. ← Richard Bartle – Player Types..